The MPI European Meetings & Events Conference (EMEC) 2015 kicks off this week in Krakow, Poland, with event professionals from the UK, North America and MPI's European chapters set to attend. MPI members from all over Europe have gathered in Krakow for the three-day event, which will take place at ICE Krakow Congress Centre, where a series of educational seminars and speaker sessions will take place. A host of speakers have been drafted in to share their insights into the future of the events industry, including FreemanXP's Jane Baker, IMEX Group's Miguel Neves and Mike Walsh, CEO of global consultancy Tomorrow. An opening session will take place on the first day before the delegates take coaches to the Wieliczka Salt Mine for a tour and welcome dinner. In October, MPI introduced a hosted buyer programme for the first time in EMEC's history, having previously only initiated the programme for its World Education Congress in North America. As part of the programme, MPI will host 25 corporate meeting planners, including 15 European planners and ten US-based planners. 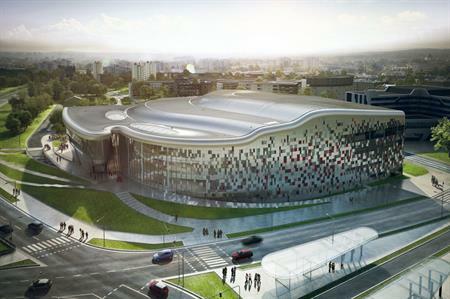 MPI's partners for EMEC 2015 include the Poland Convention Bureau Polish Tourist Organization, the Ministry of Sport and Tourism of the Republic of Poland, ICE Krakow Congress Centre, Krakow Convention Bureau, and MPI Poland Club.